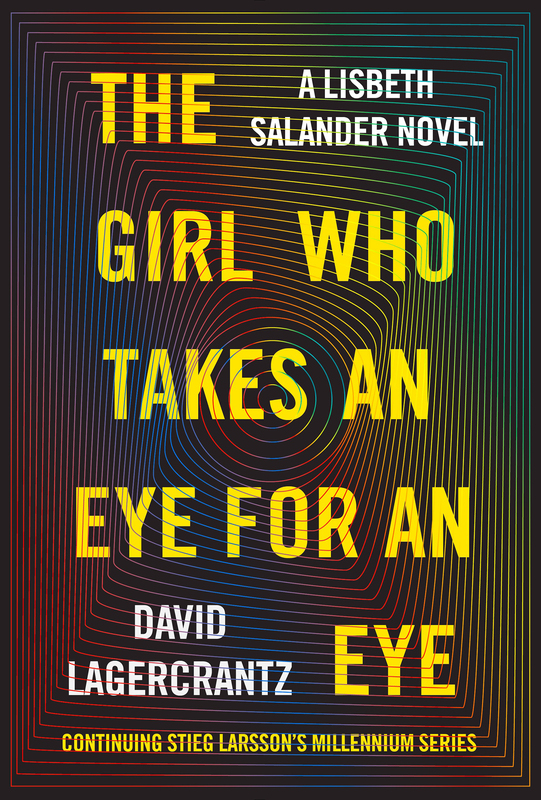 David Lagercrantz’s hotly anticipated follow-up to The Girl in the Spider’s Web has received a title ahead of its September release: The Girl Who Takes an Eye for an Eye. The book was first announced last fall. Admittedly unwieldy even by the Millennium series’ standards, this title is nonetheless exciting because it foretells our favorite badass sleuth bringing ice-cold comeuppance to the doorstep of some unfortunate baddie(s). And if the previous books are any indication, these baddies are bad, comprising the seediest of society’s misogynistic psychopaths. Seeing justice brutally served in this case is sure to bring about the deepest schadenfreude, though it is also possible that Lagercrantz (pictured above) will take the lamentative route, presenting revenge as a fool’s errand that will inevitably end in spiritual depletion rather than healing. Given the pitch-black (or, as some might claim, realistic) worldview much of the series has espoused thus far, it does seem likely that the forthcoming book will at the very least complicate any impulses to glorify revenge with a consideration of its consequences. Although we know that The Girl Who Takes an Eye for an Eye will indeed be about revenge—Albert A. Knopf Editor-in-Chief Sonny Mehta confirmed as much by catchily proclaiming that “revenge is not a fantasy for Lisbeth, and in this new book, she exacts it with a vengeance”—how exactly the story will play out remains to be seen. All we can do is speculate, which we continue to do because we’re excited … and we’re almost certainly not alone in feeling so. Every book in the series thus far—from the first three installments penned by the late Stieg Larsson to Lagercrantz’s fourth entry—have been bestsellers, with the Larsson books receiving Swedish screen adaptations and The Girl With a Dragon Tattoo gaining an additional, English-language adaptation courtesy of David Fincher. Stay tuned for any more updates on The Girl Who Takes an Eye for an Eye, and find the book’s cover below. In the meantime, be sure to add it to your fall reading list if you haven’t already.